Happy Fall Y’all! I LOVE the cooler weather! 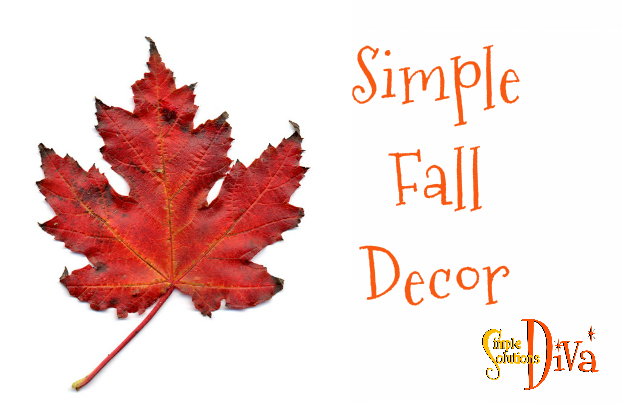 Now is the perfect time to start decorating for the season, so I thought I would share some simple ways to bring a little fall into your décor! 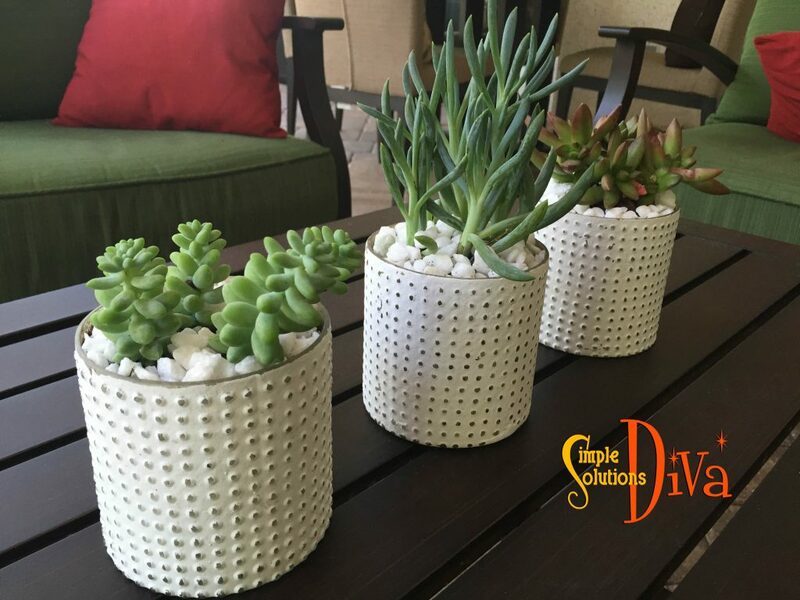 Decorate With Mason Jars! 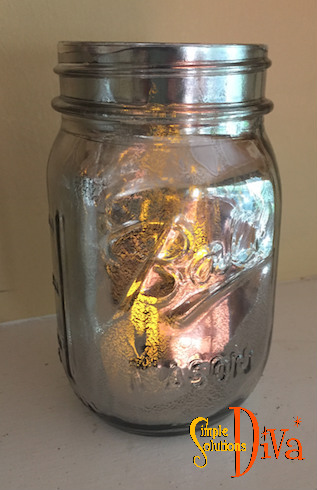 You can buy mason jars in bulk at Publix, Walmart or other stores. They are very plentiful now because people are canning their summer produce. Distressed Can Be Good! 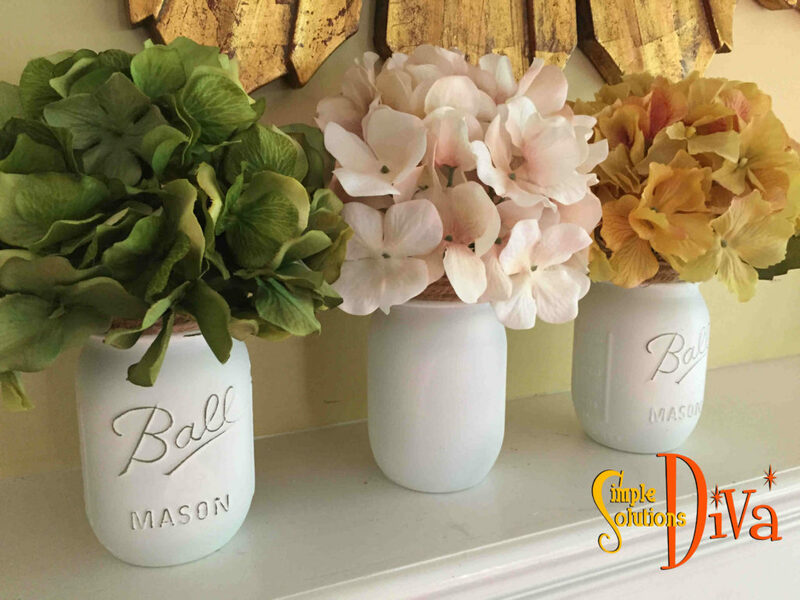 Check out these cute, painted & distressed mason jars! I used Krylon Flat White Spray paint from Michael’s, sprayed the clean mason jars, then, when they were dry, I used a fine sandpaper to lightly distress the jars. 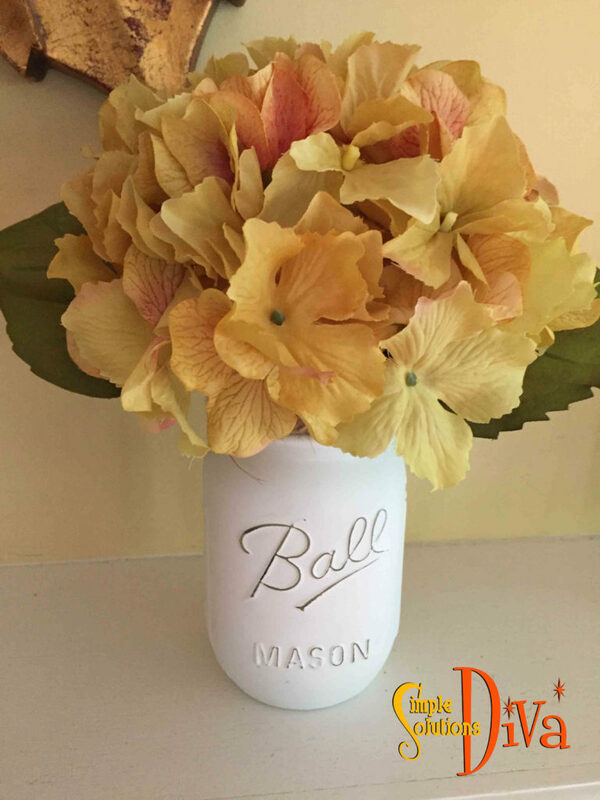 I finished them off by wrapping natural twine around the top and added fall hydrangea! So simple! Get Leafy With It! 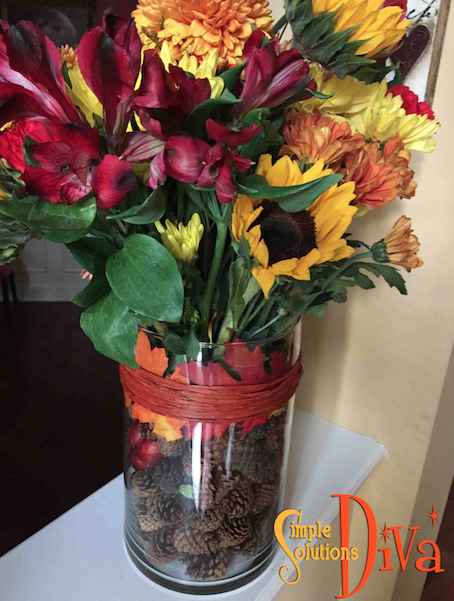 If you like the look of fall leaves, grab a few, use glossy Modge Podge to affix the fall leaves to the mason jars – I use silk leaves when I do this project! 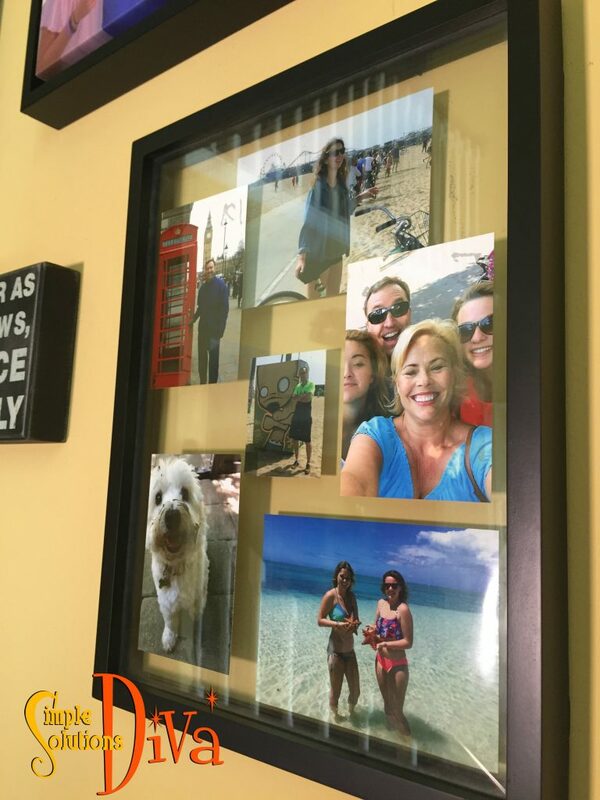 Shop Your Home! 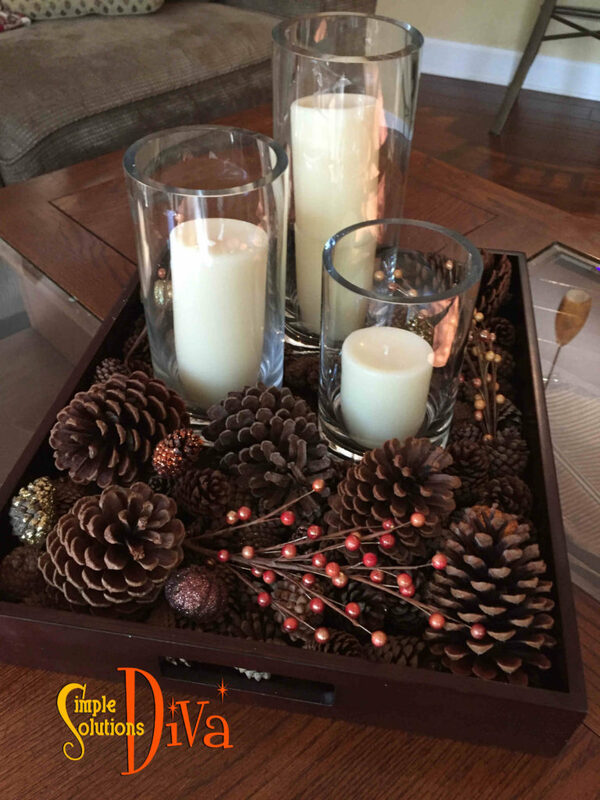 Using pine cones and items around your home, you can create a Fall Tablescape that can take you from early Fall, Halloween on through to Thanksgiving! The tray is one that has been sitting in my bedroom. I had the three glass jars. I got the pine cones from outside, and then I just added items appropriate for the season – orange berry sprays for Fall, glitter pumpkins for Halloween, and I can add small gourds & mini pumpkins for Thanksgiving! The only thing I bought were the candles! Dollar Store Deals – If you want to decorate for the fall, you’ve got to check out dollar stores NOW! They have all their products out for fall and Halloween! (And even a little Christmas now, too!) I found cute little mini pumpkins, felt placemats in the shape of fall leaves, and forms for wreaths! Special Giveaway! I will be cooking things up on the Jacksonville Magazine Cooking Stage Sunday, October 2, 11:30 a.m. at the Jacksonville Home + Patio Show. 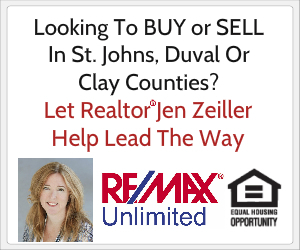 I have 4 pairs of tickets to the Jacksonville Home + Patio Show, September 29-October 2. The first four people to email me at info@simplesolutionsdiva.com will win the tickets. 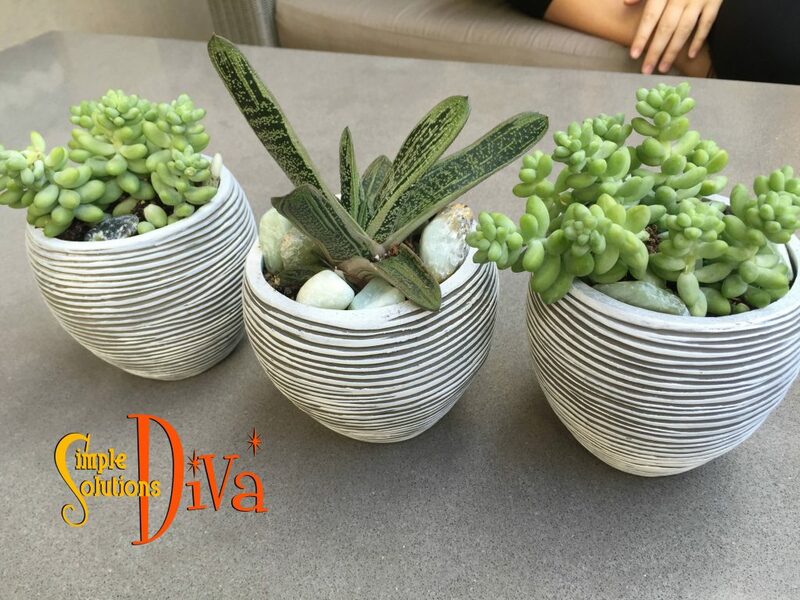 If you don’t win, don’t be upset because I have a coupon code you can use to get discounted tickets at the Home & Patio Show – Use the code DIVA! Thank you to WTLV-TV’s First Coast Living for inviting me on to share these simple tips! I used this photo to find inspiration to recreate the look, but more tailored to my home style. I was lucky enough to stumble upon some adorable, textured mercury glass candleholders at West Elm. 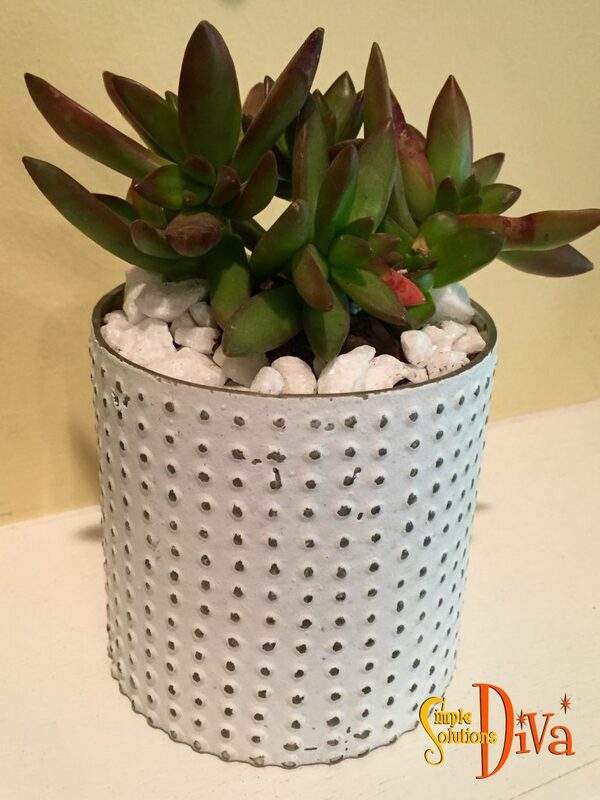 (If you aren’t familiar with the store, you can check them out here: West Elm Mercury Glass Candleholders) So, I used them as pots! Worth Noting: West Elm deserves a little recognition for support of local, small businesses and entrepreneurs! 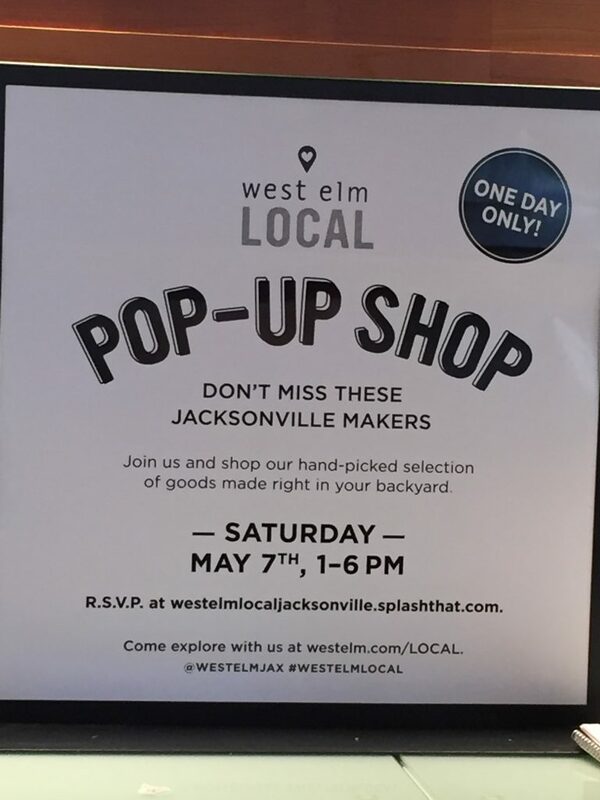 They sponsor something called West Elm Local, where they invite selected, local creators of handmade items into their stores to sell their products! (For More Info – West Elm LOCAL). When I went into their Jacksonville, FL store, they had 6 different merchants there, selling handmade items like soaps, baked goods, essential oils and more. 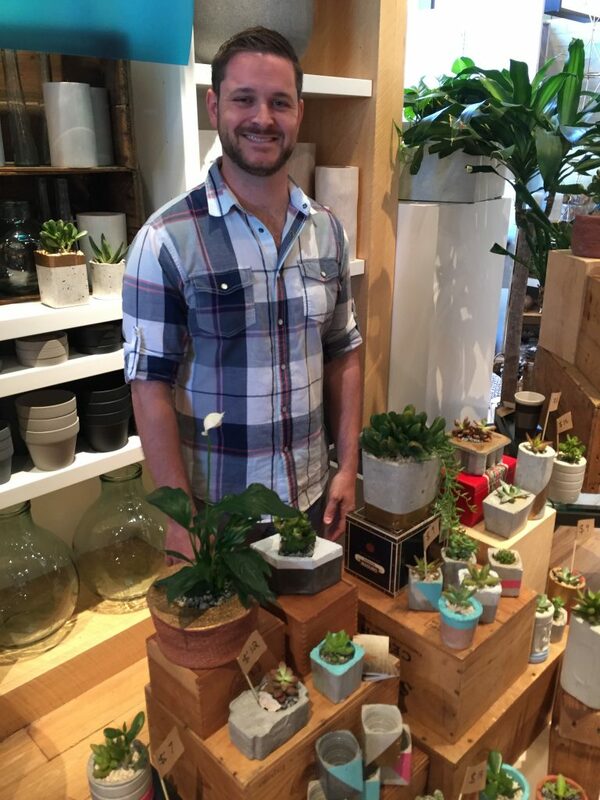 They also happened to have someone selling handmade cement planters that were formed by using recycled materials! Of course, I bought one! Check Out Green Crete’s most recent work on Instagram. 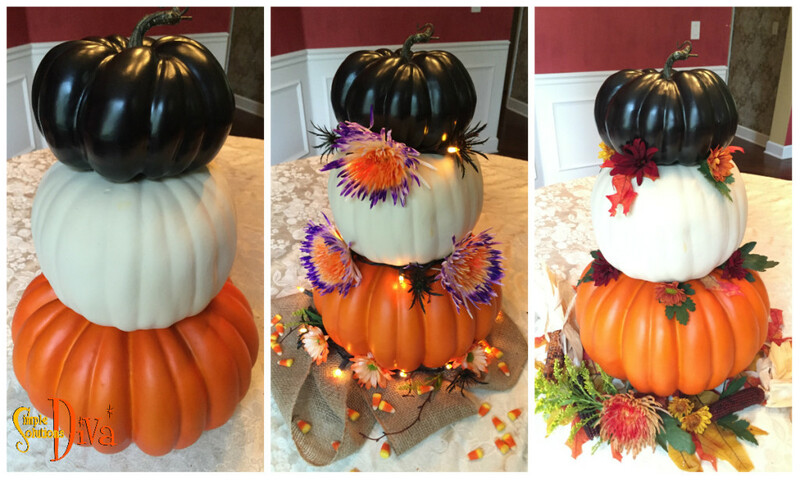 Make A Pumpkin Tower Three Ways For Fall! I like to have decor I don’t have to change up much to carry me from Fall to Thanksgiving, especially since I will go crazy with Christmas decorations! 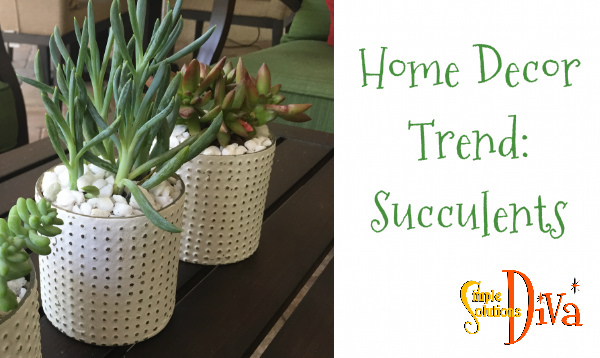 This was the perfect project for me – with just a few simple changes, I have three different looks! 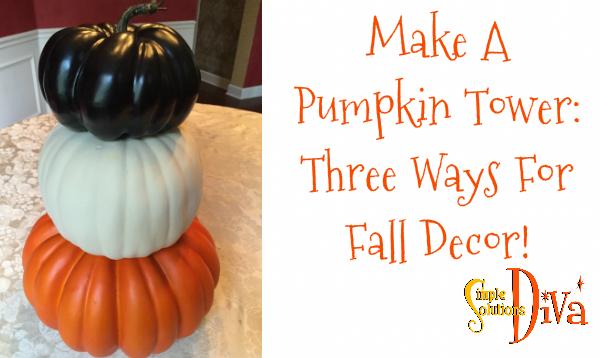 Three artificial pumpkins, three different sizes and colors. Instructions on how to assemble the Pumpkin Tower are in the video at the top of this post! Another use for the Pumpkin Tower, besides as a centerpiece: Have it on display in a planter on the front porch. Place some fall leaves and branches under it and it would be adorable! 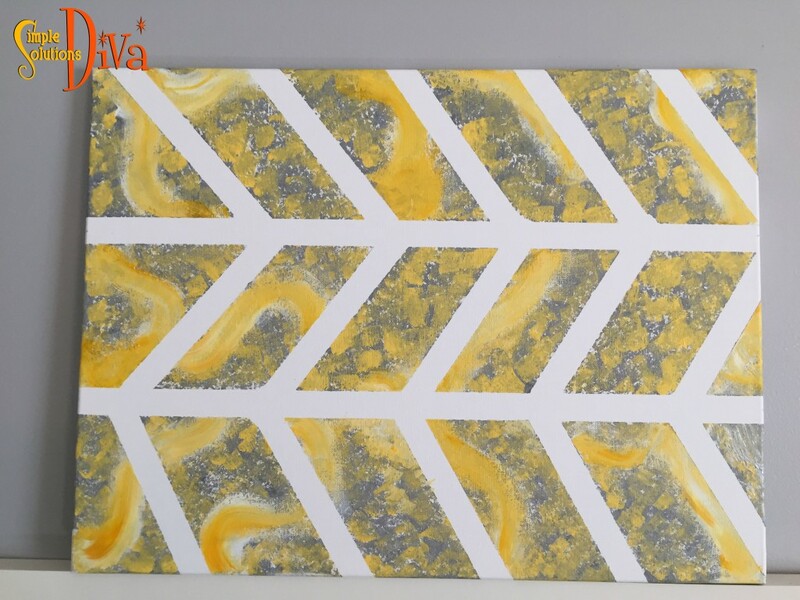 Everyone loves the chevron pattern! 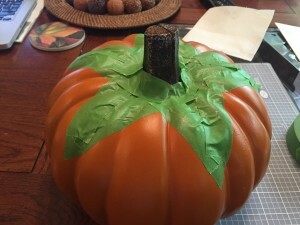 Here is a simple craft perfect for Halloween through Thanksgiving! 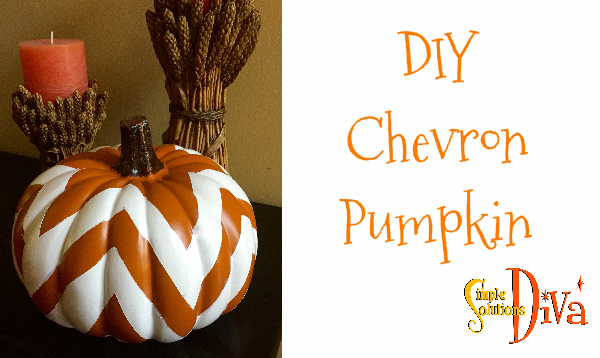 It takes your regular pumpkin from Drab to Fab! 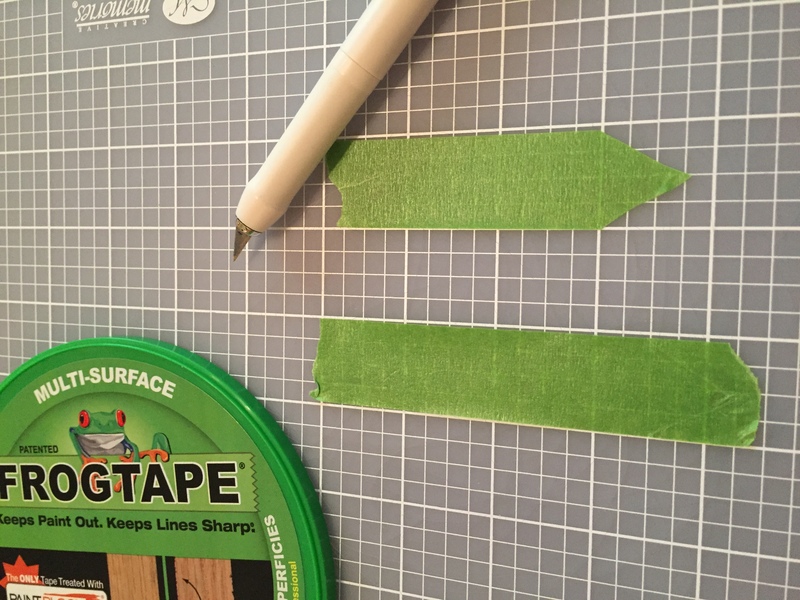 I like to use an exact knife to cut the points in the pattern, because i like clean lines. In the photo below, I’m FINALLY using my Creative Memories cutting pad! Once I’ve cut the points I apply them to the pumpkin, building up the design from the points. Sometimes the right candle can change the whole look of a decorative candle holder! 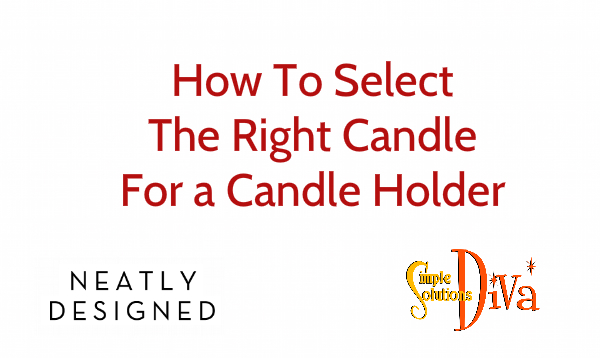 Check out this simple tip to choose the right candle! 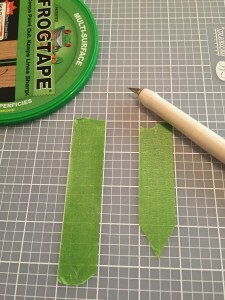 Thank you to Chris Stone of NeatlyDesigned.com for sharing this simple tip with me! 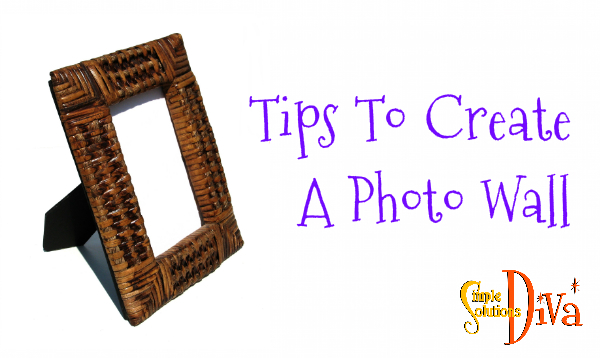 How Easy Is It To Make Your Own Artwork? 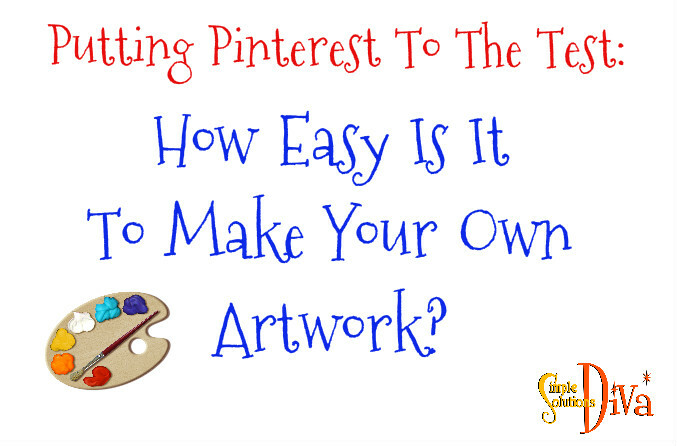 Today’s video is part of the “Putting Pinterest To The Test” Video Series! 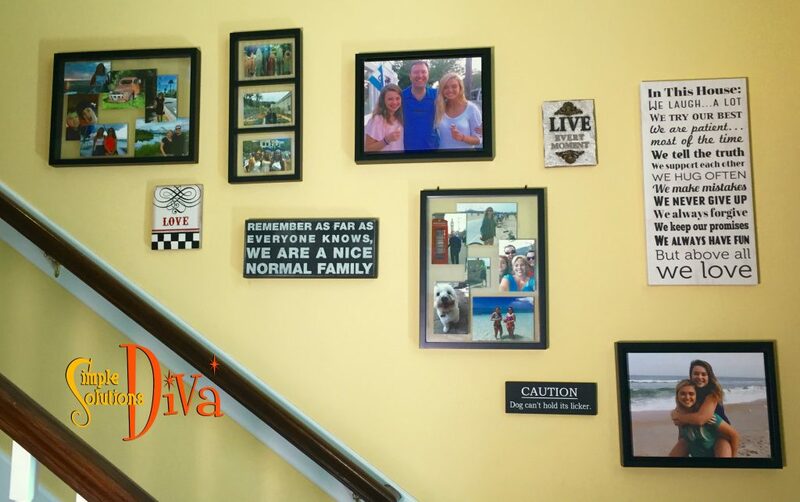 The Diva tests a pin that says it is easy to make your own, beautiful wall art – as easy as having some acrylic paints, a canvas and some masking tape. How easy is it? Do you need an art degree, or at least a little creativity? 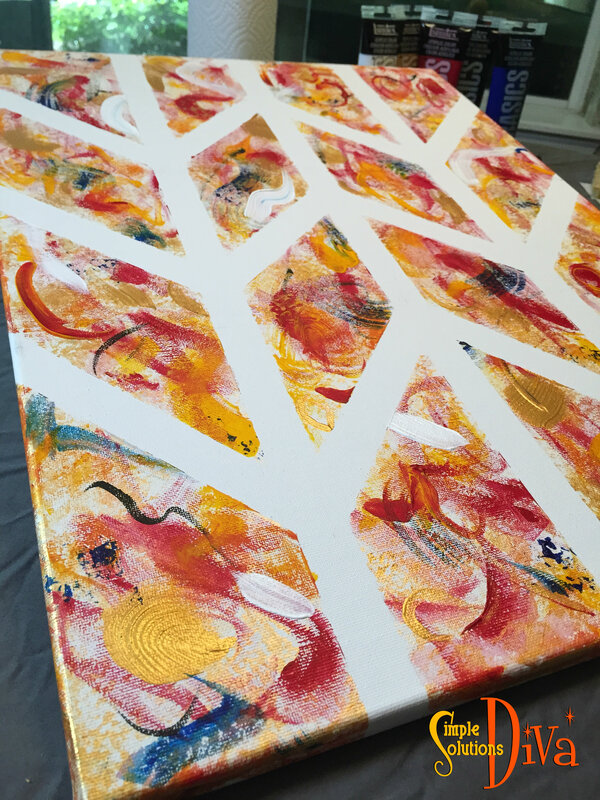 Additionally, the Diva was a little wary that the masking tape might not create a good seal on the canvas, so she tested masking tape versus Frogtape Multi-surface painting tape. Check the video for directions and helpful tips! Artwork created by the Diva’s daughter! Artwork created by the Diva! 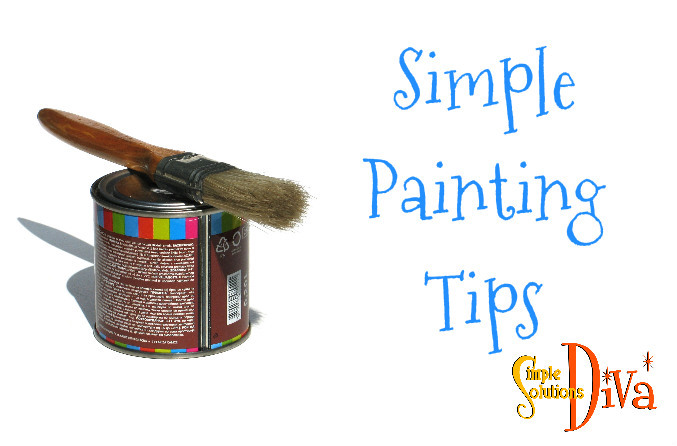 Simple Painting Tips To Make The Job Easier! 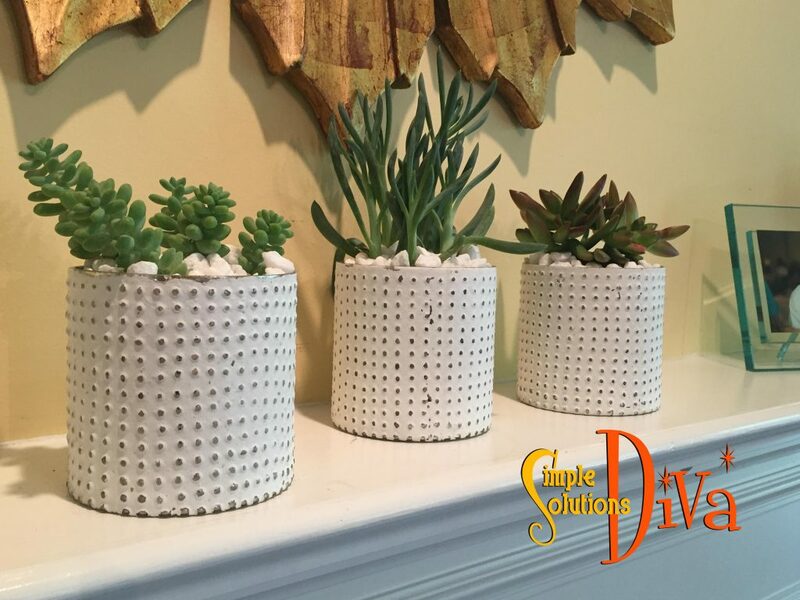 With just a few simple tips from the Diva, you can make your next painting project a whole lot easier! 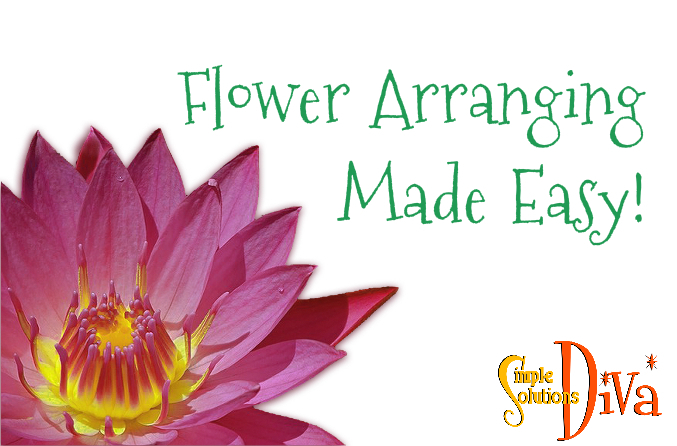 Flower arranging can be so easy, if you know one of the tricks! The Diva will show you all it takes is a piece of tape or two! 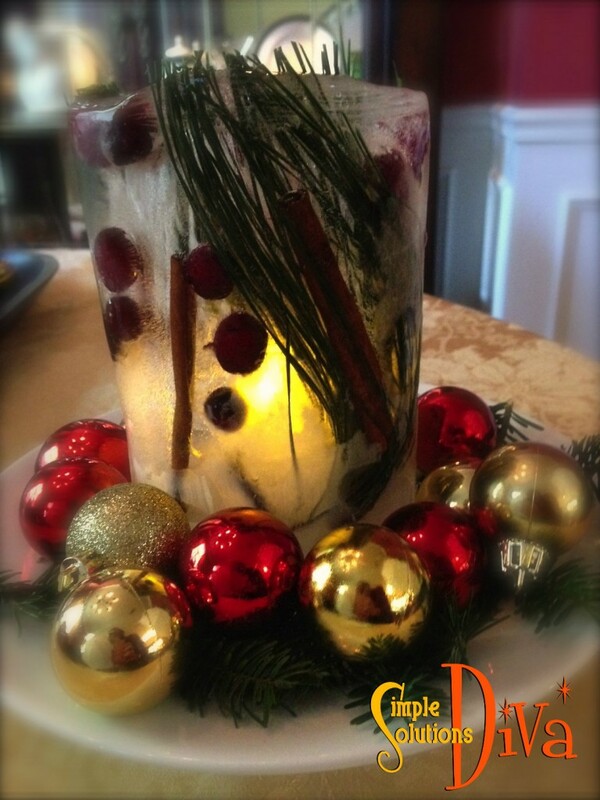 An Ice Lantern – Such a pretty centerpiece, or use multiple ones to line a sidewalk leading to a holiday party! Various items to freeze in the ice – flowers, cranberries, cinnamon sticks, pine needles, etc. Duct tape to hold the smaller bottle in the larger bottle without floating. See the video for the full instructions!